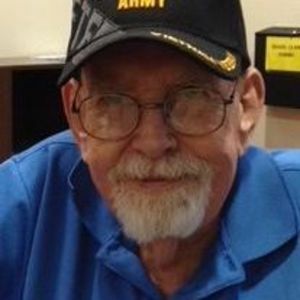 Paul Raymond Much, 74 a resident of Bay Village for the past 33 years, passed away at the Ohio Veteran's Home, Sandusky, following a long illness. Paul was born June 9, 1943 in Cleveland. Paul was a graduate of John Marshall High School then served in the US Army in Vietnam. He worked as a project manager for Taylor Elevator and then as an inventory control specialist for Component Systems retiring in 2008. Paul was talented, he played guitar and enjoyed reading about science including learning about scientist such as Einstein, Edison and Tesla. He also enjoyed Boating and was a former Mason. Paul is survived by his wife of 33 years Kathleen A. (nee Billings) and step daughters Gayle Robertson (Edward) of Bay Village, Erin Bringman (Brian) of Amherst and Jennifer Keener (Christopher) of Wakeman. Other survivors include grandchildren Kaitlin Hoffman(Nate), Christopher Robertson, Sean, Emma, Matthew and Sarah Bringman and Emily , Grace and Daniel Keener and great grandchildren Rachel and Blake. He is preceded in death by his parents Walter and Lillian (nee Waldeck) Much.